Dr.Khurts Choijin has worked in sector of Geology and Mineralogy with high achievements and served as Minister of Geology and Mining, Member of Parliament. 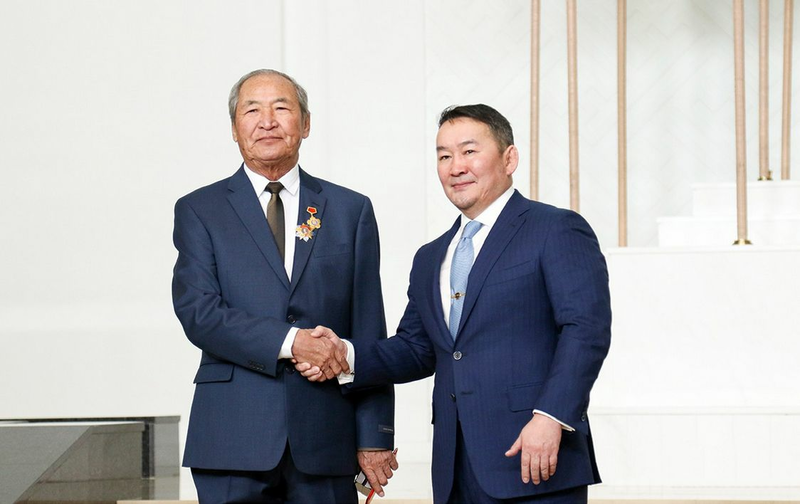 On December 29, 2017, President of Mongolia Battulga Kh awarded former Minister of Mining, Mr.Khurts as “Hero of Labor” of Mongolia, the state’s highest medal of honors, Altan soyomobo and Sukhbaatar medal. Mr. President has recognized his hard work in research and development of mining and mineral resources, discovering of the strategic deposits of Mongolia and contributing to the geology and mining sector. Since 2017, Mr.Khurts Ch has been working as a Senior consultant of MCC.